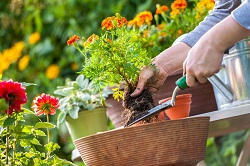 If you are in North London and are looking for the very best in gardening services then London Gardeners might have just what you have been searching for. As the very best gardening experts in the area, we know exactly what it takes to make sure that you and your garden are always looking at their very best. We have spent a huge amount of time in the gardening maintenance industry, learning everything there could possibly be to know about leaf clearance and garden tidy ups. No matter what your problem, no matter what time of the year, we always have the kind of experience which makes a real difference to you and your garden. We deliver every kind of garden design service, helping you with the garden design which really suits your vision, sculpting gorgeous and interesting gardens and then keeping them that way. Our knowledge on the subject is unmatched and we want to make sure that you have access to what is the very best landscape gardener when you need them most. If you would like to find out more about what we can do to help you, give us a call on 020 8434 7256 and talk to one of our team about what we have to offer. North London is one of the most popular spots in the city. While it can be refer to the areas above the Thames, it is used more specifically to refer to anywhere in the n postcode area. This includes popular football teams such as Arsenal and Tottenham, who share a fierce rivalry. It is also a very popular tourist destination and social centre of the city, with places such as Finsbury Park, Camden, Camden Lock and Crouch Hill offering many different establishments in which patrons can have a good time. Those who are looking to travel around the city will be glad to know that the area is well served by tube lines and stations, as well as many different bus routes. It is also home to the noted prison in Holloway, which is for female offenders. With much to do and see in north London, it is no surprise that it is not only a tourist hot spot but that many people choose to make it their home as well. As one of the nicest places in the city to live, it is easy to see why North London is so popular. 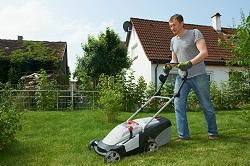 When you are searching for the complete garden clean up, London Gardeners is here to help. We have spent a huge amount of time making sure that we provide only the very best solutions in the industry. If you find yourself in sudden need of reliable gardening and want to make sure that you are not messed around, then get in touch with our gardening professionals and find out how much of a difference it makes to hire in the very best. As the best provider of garden maintenance services, not only do we want to make sure that the job is done correctly, but that you are able to save money. We understand how important value for money is when searching for the ideal gardening service and that is why we design our prices with our customers in mind. If you would like to learn more about how much we can do to save you money with the best garden maintenance around, give us a call on 020 8434 7256 for a free quote and find out more about what we have to offer everyone who needs great North London gardening.